Young kids have huge imaginations and more energy than they know what to do with. So, when you find yourself visiting Melbourne with the family, or perhaps just with an empty weekend, check out this list of six of the best things to do with toddlers and babies in and around Melbourne. Each of these suit a younger audience perfectly – and are guaranteed to help them burn some toddler power! At the Melbourne Museum, the Pauline Gandel Childrens’ Gallery is well worth a visit if you are in and around central Melbourne with little ones under the age of five. With specially crafted features that facilitate active and tactile play, this is a place for kids to lose themselves in imagination and learning. Kids can dance, crawl, run, explore – and best of all, they can socialise with other kids of a similar age. For colour, creativity and education this is a one-stop-shop, and a great option during the winter months. The Pauline Gandel Children’s Gallery is open daily from 10am – 5pm. Super-popular with the inner-Melbourne set, the Collingwood Childrens’ Farm lets little ones get up close to a host of fluffy, feathery and fury friends. For over 30 years, the Collingwood Children’s Farm has been opening its gates to people as way for the community to experience a taste of country life – even milk a cow! Nestled next to the Yarra River, the farm is home to horses, donkeys, goats, sheep, cats, geese – even earthworms and bees. Pack the gumboots and wear old clothes to this one, and be sure to check out the farmers’ market (every second Saturday of the month) and the café on site. 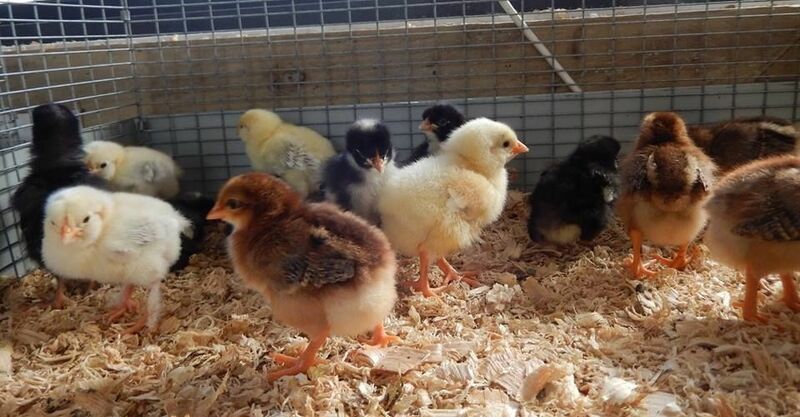 The Collingwood Childrens’ Farm is open from 9:15 – 4:30pm daily. What tot doesn’t go bananas for monkeys, giraffes and elephants? Exactly! So, pack your bag for the day and get on over to Victoria’s world-renowned Melbourne Zoo. With over 300 species for little ones to get up close to, there is a full day of excitement to be had here. Highlights include an orangutan sanctuary, a spectacular butterfly house and an elephant trail. There are plenty of interactive displays, and tonnes of stimulating sights and sounds to thrill even the youngest of kids. Comfy shoes are a must, as is the pram for your youngest – there is a decent amount of walking to be done on this outing! This is a favourite city-based playground with a BIG personality. Just a hop, skip and a jump from Federation Square, this park is designed for kids as young as infants and is a very special spot that celebrates creativity, learning, play and FUN. There are sandpits, climbing walls, swings and plenty of other interactive equipment that will ensure you see smiles on those little dials. Where: Alongside the Yarra River, next to Federation Square. Full to the brim with amazing colours, sights and sounds, this is definitely a hot spot to add to your list of Melbourne activities with littlies. Situated in central Melbourne, right on Southbank, it’s very easy to get to, and makes for many hours of easy, enjoyable entertainment for kids. Not only are there abundant fish and sea creatures to gaze at, there are also entertaining (not to mention educational) presentations throughout the day on such topics as penguins, crocs – even shipwrecks for your little buccaneers to enjoy. Again, bring the pram to give those tired little legs a break as there is plenty of walking to be done here. 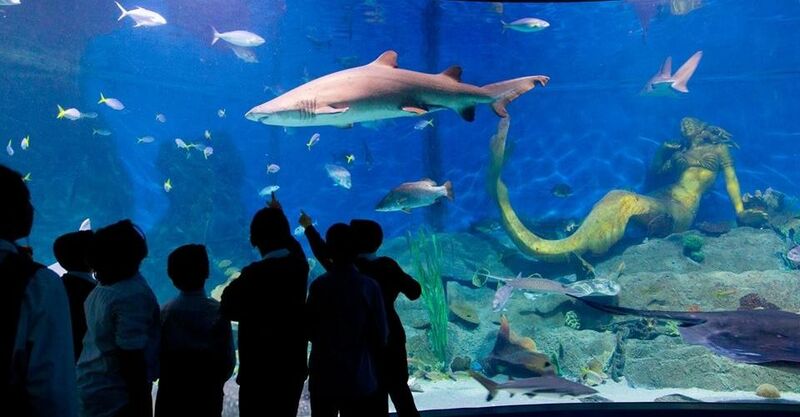 SEA LIFE Melbourne Aquarium is open from 9:30 – 6pm daily. Fairy Park: guaranteed to put your kids right inside their favourite fairy tale. This park is an absolute gem and a magical place that kids seem to never forget. With over 33 spectacular features, kids can visit all of their favourite characters at Fairy Park: The Big Bag Wolf, Cinderella, Red Riding Hood and so many more. There is also a train museum and a seriously cool adventure playground known as Camelot. This is perfectly suited to toddlers who are neck deep in fantasy and fairy tales, but it’s also a great one to bring bub with plenty of colourful sights and sounds to enjoy. There are some hilly areas within the grounds, so a baby carrier might be a little easier than a pram for this one.